AMAZING SPARKING ABILITY – Our fire steel is made from top quality ferrocerium that is the perfect hardness for producing a large shower of sparks. 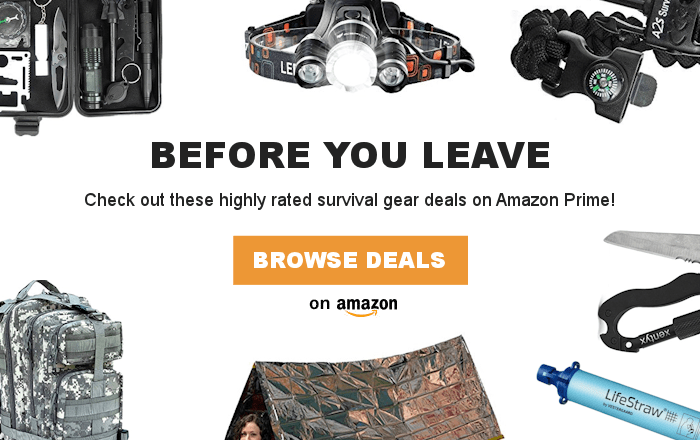 Easily light a small bundle of magnesium or other tinder under the harshest weather conditions. With temperatures reaching 5,500 degrees Fahrenheit and a capacity of over 12,000 strikes this fire rod is sure to last for years to come. Always have this tool ready in your emergency kit. CONVENIENT WOOD HANDLE – Get a perfect grip every time for striking with this nicely shaped smooth wooden handle. Easy to use with no experience! Just strike the 6 in 1 metal multi-tool against the rod to create an impressive array of sparks in just seconds. Works well even in wet conditions. 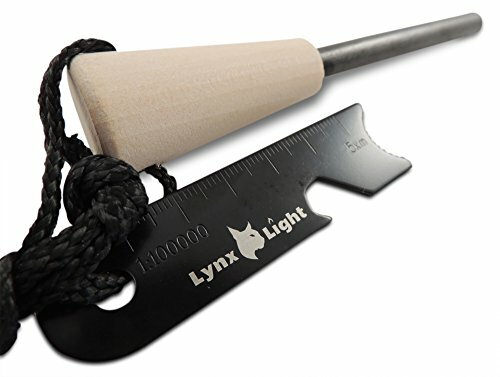 ULTRA LIGHTWEIGHT – Weighing less than 3 ounces this emergency fire starter is perfect for carrying in any camping kit. You’ll always have piece of mind that you’re carrying an extra durable and reliable fire starting force. Never leave on a trip without it! You can even use a knife or other sharp piece of metal to strike the rod and create sparks. It’s not only fun to use it can be a lifesaver. Always carry emergency tinder with you for the ultimate duo in fire starting. Quality guarantee. 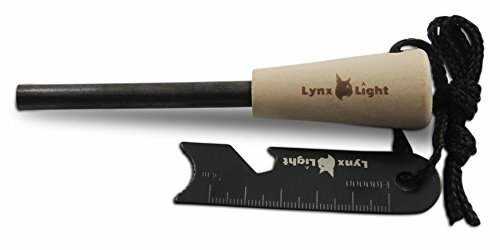 If you don’t like your Lynx Light fire starter for any reason just return it for a full refund, no questions asked. 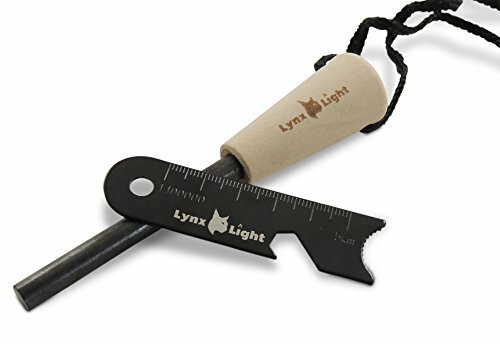 MULTI FUNCTIONAL DESIGN – Includes 6 tools on the metal striker: a bottle opener, hex wrench, concave serrated striking edge, ruler, edge scraper and a map scale. You can even hang the rod and striker on a keychain or carabiner. 100% GAURANTEE – If you’re not happy with the product for any reason we will refund your money no questions asked.